Kobus started his career in 1982 as a pilot in the South African Air Force and has been in aviation ever since. Qualifying on various aircraft and helicopter types he mainly focused on VIP helicopter transport, Aviation Safety, Aircraft Accident Investigation and Flight Crew Training. Managerial and leadership achievements include team leader appointments on extended deployments to Antarctica, the USA and various other countries. After leaving the Air Force as a senior officer in 2002 Kobus joined a major flying school in Australia and progressed through various positions which included Airline Transition Training Manager, Quality Manager as well as Head of Training. As Head of Training, Kobus had the opportunity to work with a number of Regulatory Authorities which included the HKCAD, CAAC as well as GCAA. 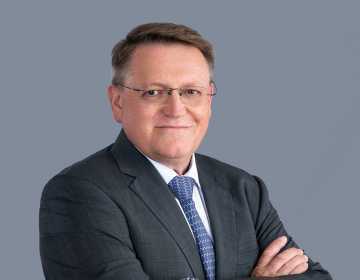 Kobus joined TAG Aviation Asia as Director Operations in January 2015 and was appointed as Chief Operating Officer for TAG in October 2015. Kobus is happy to join Hongkong Jet as the Director Operations.